Support: for SD SDHC SDXC MMC. 1 x SD CF card adapter (SD card is not included). A high-speed CF card interface, speed almost without loss. Note: Light shooting and different displays may cause the color of the item in the picture a little different from the real thing. 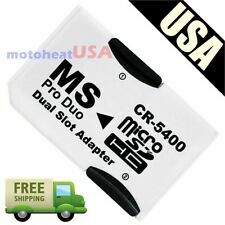 Insert your Micro-SD HC card into WiFi CF adapter and you can access high. WiFi-CF settings: WiFi password,AP Mode and Station Mode switch, IP, channels, number or users, SSID. 4.WiFi-CF settings: WiFi password,AP Mode and Station Mode switch, IP. New Style SD to MicroSD extension Cable 48cm long. SD holder 29mm x 39mm. SD Card Extension Cable, 20" long. Thin flexible cable. This cable is not suitable for "Hotswapping". CF Type II Card Adapter (Supports SDHC MMC SDHC SDXC) High Speed -- for Canon G5, D60, EOS 10D, 20D, 30D, 40D, 50D, 5D, 5D2, 7D, 300D, 350D, 400D, 1DX, D2X, D3, D3X; Sony a100, a200, a300, a35,0 a700, a850, A900; Nikon D100, D200, D300, D70; Fuji S5. Colour: White/Silver (as seen above). INTERESTED???. BUY NOW! Bluetooth Adaptors. 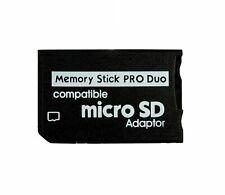 SD Micro SD. This all in one reader support the fallowing cards. Mini SD ( adapter required). Ultra II SD. MMC micro card. 15.T-Flash (no adapter required). M2 (adapter required). Support Cards. Dateisystem: FAT32. Speicherkartenformat: microSDHC. Geschwindigkeitsklasse: 4. Sandisk 16GB microSDHC class 4 Speicherkarte - SET. 1 x NEU Sandisk 16GB microSDHC class 4 Speicherkarte. Die tatsächliche Speicherkapazität kann abweichen, ein Teil der genannten Kapazität wird für die Formatierung benötigt. It simply plugs into a computer's USB port. Usage marks but tested & in working order. Lesen / Schreiben von Dateien für PC oder Mac. Slot für den Einsatz mit Ihrer xD-Picture Card. de angeschaut und bezahlt werden. Bei Rückgabe einfach zurücksenden (siehe Rechnung und Reklamationsschein). Box Contains. --Plug-and-Play - no need for drivers. --No external power required. 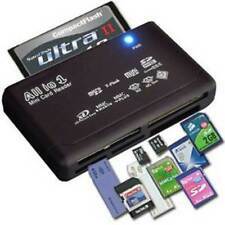 6in1 Multi Card Portable EZ PhotoBank BACKUP. 1 x 160GB XDrive KX-707 6in1 Multi_Card Portable EZ PhotoBank BACKUP. That is 11 hours 30 mins of above normal use to Backup Photos to the Photobank. Power button : Held down, turns Photobank ON/OFF. High Access Speed: transfers images and data from SD to CF equipped devices. Fully compatible with CompactFlash type II specification standard. SD / SDHC / SDxC to CF. Card Adapter. No other accessories are included. Dateisystem: FAT32. Speicherkartenformat: microSDHC. Geschwindigkeitsklasse: 10. 1 x NEU 32GB microSDHC class 10 Speicherkarte. Die tatsächliche Speicherkapazität kann abweichen, ein Teil der genannten Kapazität wird für die Formatierung benötigt. M2 2 GB Micro Speicherkarte Sandisk m2 Neu für Sony. 1 x Kartenleser. Info Geeignet für Karten. Compact Flash, SDHC, XD, MicroSDHC, M2micro. kompetente Beratung vor und nach dem Kauf. Farbwahl leider nicht möglich! Kartenleser für SD HC Speicherkarten. M2 2 GB Micro Speicherkarte Sandisk m2 Neu für Sony. Farbwahl leider nicht möglich! 1 x Kartenleser. Info Geeignet für Karten SD HC und non SD HC. SD Karten SD HC. 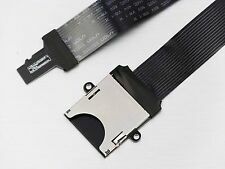 Può essere riparato sostituendo il display oppure può essere usata l'elettronica per riparare un altro Ninja 2. While many display cards can be on the more delicate side, Hoodman has included a few features to ensure that theirs is firm and tough. In so doing, the stick both makes the card incredibly firm and water-proof. Storage Capacity: 32GB Custom Bundle: No. Speed Class: Class 10 Format: MicroSD. Lettore schede XQD 2.0. Tipo: Lettore singolo di schede formato XQD. Compatibilità schede: XQD fino allo standard 2.0. Lexar Professional. Con il suo design compatto e portatile, puoi infilare il lettore in tasca e andare. 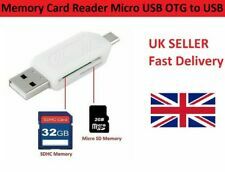 For to useTF / micro SD cards (128 Mb up to 2 Gb ) and micro SDHC (4Gb up to 32 Gb). 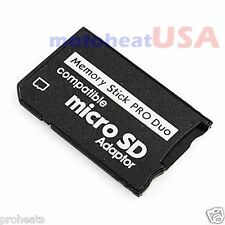 Micro SD to SD Adapter. (micro SD card on the picture n°2 not included). on devices with SD card plug. 1x adapter. LED power indicator display working status. Ending Soon. This is for orders for the UK mainland excluding the Highlands, remote areas and all off-shore locations. Small and compact design, easy to carry. This is the item in the pictures you will received.